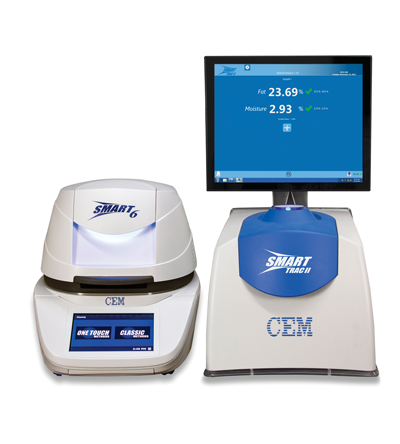 SMART Trac II System consists of a SMART 6 Moisture Analyzer, and the SMART Trac NMR unit. The System provides direct fat and moisture analysis in less than 4 minutes without the use of solvent or calibration. Includes one year warranty, standards, Trac Station Kit, 1 roll of Trac Film, 5 Trac Tubes, fuses and power line conditioner. "